After you’ve started a business, you will most likely be trying to determine the best financial instruments to help fund daily operations. There a number of different loans and lending products that can help you get the most out of your business. One such form of lending is called ‘revolving credit’. Revolving credit is used by businesses to fund daily operations once they’ve already started their businesses. This form of credit comes in two forms: a business credit card and a business line of credit. There are plenty of business credit cards you can get from a variety of banks and financial institutions. This is totally different from business lines of credits. These are simply credit cards that you can use to purchase anything from anywhere using a credit card terminal or even online. In some instances, you can even get cash advances from your business credit card. Business credit cards seem very simple and easy to understand. However, there are many things you need to keep in mind before getting one. Remember, some people can’t even keep their credit limit on a personal credit card; what more if you have a business credit card with a higher credit limit? The chances of overspending are great and without proper understanding and extra care, you might find yourself in debt. This shouldn’t discourage you though. Business credit cards can be very helpful for almost any kind of business. Not a lot of people carry cash at all times. There are also large purchases that you can simply swipe rather than write a check for. In addition, there are many perks attached with your credit card. On this page, we will overview business credit cards and how they may be able to help your business improve. Read on to learn more about business credit cards and how you can use it to improve your business. Where Can You Get a Business Credit Card? How to apply for a business credit card? How to open a business credit card? How to get business credit card for new business? Can a sole proprietor get a business credit card? Can I get a business credit card without a business? When to apply for a business credit card? How to choose a business credit card? What do I need for a business credit card? Do business credit cards show on credit report? How to get business credit card without personal guarantee? How easy is it to get a business credit card? How to fill out business credit card application? How to get approved for a business credit card? How to qualify for business credit card? How to apply for a business credit card with EIN? Can an individual get a business credit card? Should I get a personal or business credit card? When to get a business credit card? Do business credit cards check personal credit? Do business credit cards count towards 5/24? What are credit card fees for businesses? What business credit card is easy to get? How to apply for business credit card as LLC? Do I need a business credit card for an LLC? Who offers secured business credit cards? What is the best business credit card for airline miles? Which business credit cards do not report personal credit? Does American Express business card report to credit? How to apply for Chase business credit card? How to apply for Southwest business credit card? Does Discover have a business credit card? 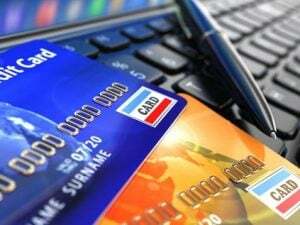 Does business credit card affect personal credit? Are credit card fees tax-deductible for businesses? How to use business credit card? Is credit card interest deductible for a business? Can I use my business credit card for personal? Am I personally liable for a business credit card? How to increase business credit card limit? How to fund a new business with credit cards? Can you balance transfer a business credit card? Can you use business credit card rewards for personal use? How to get credit limit increase on business card? Can I use Sam’s business credit card at Walmart? 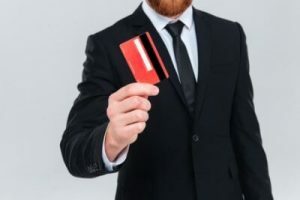 To truly understand how a business credit card works, you must first understand the type of credit it is grouped under. Revolving credit is a unique form of credit that is much different than a traditional loan. With revolving credit, a lender will extend you a set credit limit. This limit will be determined by a range of things, but will ultimately depend on what the lender thinks you are capable of borrowing. Once a limit is set, you can borrow from the limit when you need to. If you don’t end up using any of the limit, then you won’t end up paying any of it back – nor will you have to pay any interest on it. This is unique because it means that you don’t have to plan out the amount of money you want to borrow. With term loans, you have to be certain of how much money you’ll need and if you don’t use some of it you’ll still have to pay interest on it. Revolving credit is typically unsecured as well, which is one of the primary reasons that it has such a high interest rate. In addition, once you pay back what you’ve borrowed from your limit, you can borrow that again. You don’t have to reapply to borrow more money every time you pay it back, which is what you would have to do with a term loan. More than a luxury, business credit cards are necessities and they actually make a lot of sense. There are many times when you will have to make payments unexpectedly and you need to have access to funds instantly. There also times when you need to make purchases that are not that expensive for you to have to apply a loan for. For example, the office printer broke down and is now beyond repair. You need to purchase a replacement immediately because your printer is a very important piece of equipment in your workplace. Instead of using your own cash or having to request for petty cash from your accounting department, which can require a bit of paperwork and a lot of waiting, you can use the credit card instead. Furthermore, your business can even find practicality out of these credit cards through points and rewards. Yes, credit cards can cost a lot of money, but only if you overspend. It can even cost more if payments are not made on time. That will also pull down your credit score. However, if you use it wisely and with utmost care, your business credit cards will surely be a lot of help for your company. Naturally, business lines of credit and business credit cards are often compared due to the fact that they are the most common forms of revolving credit. This is a fair comparison, but there are some stark differences that make these two forms of lending quite different. First, as mentioned previously, accessing cash with a business credit card is very expensive. With a business line of credit, you don’t have to pay any extra to get cash. But on the other hand, you don’t have a credit card to use to pay for things. In addition, with a business line of credit the interest rate tends to be lower. But at the same time, you can’t earn any rewards on the money that you spend. Which form of revolving credit that fits your business best will depend on what kind of capital you need. Also, plenty of companies use both forms of credit, so if you need both it is not an issue. Spending Limit – There’s no spending limit on a business charge card. That sounds like a good thing because you can practically make a large purchase and have a way to pay for it right away. The bad thing about it though is that whoever holds that charge card should have a lot of self-control. Since there’s no cap on spending, you might just be surprised how high that bill can get. Full Payments – When you have a credit card, you pay every month. However, you can have purchases that are paid through installments over a specified time period. If you’re unable to pay, the balance rolls over to your next bill. For your business charge card, you have to make a full payment monthly. If you miss a payment, your account may get suspended and you will be charged a massive penalty. Believe us, you don’t want this happening to your account. Because of the nature of charge cards, they’re better for those who want to make sure they’re never in too much debt. Charge cards don’t allow you to carry a balance, so there’s no way that you can rack up a large amount of debt that you can’t pay back. In this way, it is sort of a nice blend between a term loan and a credit card. Many charge cards have great benefits as well, so it’s a nice way to start accumulating points for various rewards. These rewards will be further explored later in this article. Speedy Loan – If you need to make a purchase for your business and you don’t have time to wait for a loan approval, you can simply use your business credit card or your charge card if the purchase goes above your credit card limit. You don’t even have to present a collateral. Credit Score – For as long as you make on-time payments, your business credit card can do wonders in helping you out in building your credit score. Separation of Personal and Business Finances – If you use your personal credit card for business purposes, you still have to track and separate the expenses you’ve made and cross-check that to your business records. Get rid of that hassle by simply having a separate credit card. High Credit Limit – Most often than not, you will have a higher credit limit on your business credit card rather than your personal one. This can come in very handy especially if you have a startup business. Rewards – Most credit cards have rewards and other perks. You can use these rewards for gas, office equipment and more. If you travel for business, you can even choose a credit card that can give you free miles. Online Transactions – The best and most convenient way to make purchases online is through a credit card. Whether you’re hiring freelancers from the other side of the world or you’re simply ordering better-priced equipment online, your credit card can be useful. The tips below are things that you probably already know especially if you already own a personal credit card. Allow us to remind you of these once again to help you enjoy the benefits of having a business credit card and not make it a cause of trouble for the business in the future. Interest Rates and Other Fees – Always take note of the interest rates your credit card company charges you. There are times when they increase this fee and some instances when they charge you with annual fees. Annual fees are in place to ensure that the bank will still make at least a bit of money if you are never use the card. Note these items and keep a close eye to make sure that you’re only paying what you actually owe. In addition, note down interest rates on your business credit card because these can be deducted from your taxes. Never Miss a Payment – Credit cards are fun to use. You can simply swipe and swipe without worrying about payments until the bill comes along. The fun stops as soon as you see the fees associated with a missed payment. Always pay on time and as much as possible, pay in full. Not only will a missed payment result in extra fees, but it will also prevent you from getting more credit in the future. A missed payment on a credit card can impact your business credit score drastically. Avoid Unplanned Expenses – If you don’t have to, don’t use the business credit card. Don’t go swipe-happy with every purchase as you can be surprised with a hefty bill soon. Don’t use it for your personal expenses and always charge only what you believe you can afford to pay back in full and on time. Don’t Carry a Large Balance – If you’re planning on carrying a large balance, think again. 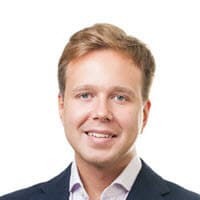 The large interest rates associated with a business credit card should be a deterrent for those who think they can carry a large balance on them. Many business owners make the mistake of carrying large balances, which can result in serious financial difficulties for your company. Don’t Make Large Purchases – A business credit card shouldn’t be used to fund large purchases. There are a variety of reasons for this, the main one being that the interest rates are very high. On top of this, banks are happy to provide loans for concrete things such as equipment or land. This is because they can secure the term loan against the asset you’re buying. In this regard, using a business credit card to purchase a large expense is a bad idea. Term loans also offer you payment structure. One of the best things about business credit cards is that you can issue them to your employees. In fact, some of the biggest businesses in the world issue their employees with business credit cards in order to help facilitate business. For example, you may need an employee to take clients out for lunch, but reimbursing them for everything can be a hassle, so giving them an employee credit card can take away this pain. The same goes for if you need an employee to purchase inventory or other business related items. It can make the efficiency of your business a lot better as you can view everything from a single account that the cards are issued to. The only downside with business credit cards is that you have to be able to trust your employees not to misuse the card. Obviously, it is easy to track their use, but if they make a large charge on the card you are still responsible for it. In addition, if you have a lot of employees it may be hard to keep track of every little expense – especially if they need to use their cards frequently. Either way, make sure you have a company policy in place so that people know what they are and aren’t allowed to use their company cards for. Another unique benefit of business credit cards is the rewards that you can get for using them. You probably already know that you can get an array of different awards for using your regular credit card – a business credit card works the exact same way. Lenders will offer you business credit card rewards in the form of cash back, travel miles, or general rewards points. Depending on what you value, you can choose the rewards class that you want the most. There are a few things that you should consider when choosing a rewards card. Rewards cards tend to have higher interest rates because of the cost to the lenders. This isn’t an issue to those who pay off their credit card balance in full. But to those who don’t, the cost of interest payments will offset any benefits you’re likely to get from your rewards. If you do plan on carrying a balance on your business credit card, you should make sure that you don’t choose a rewards card. There are other business credit cards that have way lower interest rates because they don’t offer rewards. This being said, if you have multiple employees using cards, you can really accumulate a lot of rewards points, which can be quite valuable if you make sure to pay off your balance. This may sound redundant, but one of the most important things to consider when you get a business card is balance management. Business credit cards are a dangerous form of credit because they can be used so freely. This is why you should have a balance management program put in place to ensure that you don’t overspend or put yourself into a position you can’t afford. This is especially true for smaller companies. You should make sure that you have specific types of purchases that are allowed on the business credit card. Because of the interest rate associated with cards, you should make sure that if you are going to buy something you can’t pay off quickly that you do so with a different form of finance. Spending on your card doesn’t feel like you’re actually spending money – that is part of the psychology behind why credit cards are so successful with consumers. This is also why it’s important that you are constantly aware of your balance and that you pay it down as much as possible. Because of modern developments in lending, many small business owners are turning to online lenders to get the credit they need. This is in large part because the process is much quicker – online lenders typically require much less documentation and therefore will be able to get you the capital that you need much quicker. This has become a trend with many people who are trying to get business lines of credit or term loans. Unfortunately, this isn’t really the case with business credit cards. Most business credit cards are provided by lenders that have an established presence. You’ll find most card issuers tend to be large commercial and consumer banks. This is because of the logistics behind providing cards and the protections that come along with it. There are a few smaller lenders that do provide cards, but they are in the clear majority. In addition, the best business credit cards will typically be from larger lenders as they are the ones that will be able to provide you with the best rewards and rates. You can typically apply for these online through a bank’s website. After reading this page you’re well enough informed to explore various credit cards for your business. You should start your research online, banks are very good at keeping up-to-date profile on all their credit cards. Once you see which cards are best for your business, you should begin to compare the lenders you are thinking of using. The best way to compare lenders is to head online and Google for customer reviews. There are plenty of websites that allow for customers to review their credit cards and the experiences they had with their lenders. This is a great way to get a true feel for how a lender treats their customers. You should always consider a business credit card a small part of your financial portfolio. You shouldn’t be using it as your sole source of finance. A lot of business owners make the mistake of using revolving credit for everything because it is easier than applying for new loans – this is a big mistake. The amount of money that carrying a balance will cost you in the long run can be truly astonishing. This is because the interest rates allow your balance to multiply at a fairly substantial rate. Head online and find a credit card calculator that will be able to help you determine the real cost of using a credit card in your business. Also, a business loan calculator can be useful when considering a loan for your business. Also, if you’re going to be giving credit cards to employees, make sure that you check their statements every day when you first hire them. You don’t want to be a victim of fraud. Being on top of your balance and those who use your business credit cards is the best way to ensure responsible use. Business credit cards can be one of the most affordable forms of debt on the market if they’re used correctly. Would you like to obtain a new business credit card? Find the list of questions in this section to keep you informed about your credit card options. A business credit card is a type of credit card that is created solely for business use. They are offered to businesses of all sizes. It is a good way to build credit for your business to obtain bigger loans in the future. If you want to apply for business credit card, decide on what type of card to get first. Check your credit score to determine if you qualify. Be prepared to provide your annual revenue and compare quotes from various credit card companies. When applying for business credit card, you will need the following: business name (if you have LLC, corporation, or DBA), TIN or tax identification number, and SSN or social security number. You must first create separate audits for your personal and business finances. This will help you establish your separate credit scores for each. Good credit standing can help increase your chances of getting business credit card. From there, you can send inquiries to various credit card companies as their application process differs largely. Business credit cards provide business owners with easy access to cash within a set credit limit. This funding can be used for operational purposes within that business. You can start by searching for credit card companies that offer business credit cards. Obtain a list of requirements to see which ones you qualify for. Once you have picked your options, start a business bank account and apply for business credit card. Make sure to pay your bills on time to retain good credit standing on your credit card. Your options might be limited but it is possible to obtain a business credit card even if you have bad credit. Opting for a secured credit card as your financial standing might not qualify you for the standard unsecured business credit card. Sole proprietorship is any business that you run and own by yourself. You can qualify for a business credit card and you won’t need to provide EIN (Employer Identification Number) during application. You may use your SSN or Social Security Number instead. Yes. There is a fine line that separates personal and business credit cards. But you can use your name when indicating the name of business during application. You can apply for a business credit card if you need extra source of funding for the purchase of business equipment, or if you want to increase your working capital. It is also a good option for those who want to build their business’ credit history. Determine your business needs and spending. Use a credit card comparison site or obtain quotes from various credit card companies to inform your decision. You can also pick one with a good rewards program to offset the costs of your business spending. You need to have good credit score to qualify for a business credit card. Once approved, you must have the discipline to use the card for business purposes only to ensure that you can meet payments for your card. Otherwise, your business’ credit score could suffer. When you apply for a new business credit card, it will prompt hard inquiry that will show up on your credit report. If you want to apply for a business credit card without personal guarantee, you need to have good credit. Some credit card companies will require a credit score of at least 650. It will depend on what type of card you are applying for. There are several types of credit cards and each one will be suited for business owners with varying credit standing and needs. Choose the most suitable card for your business and financial situation for ease of application. If you are ready to apply, go to the specific website of your credit card company and fill out the online application form. Make sure to provide all of the required information on your card and provide supporting documents, if needed. To boost your chances of approval, make sure to improve your credit score. If you have a score of less than 640, you can get approved for most credit cards. But anything higher than that should help you qualify. You can also consider boosting your business revenue as it can also help your application. You need three things to qualify for a business credit card: 1) good credit score, 2) good business income report, and 3) lower your expenses. If you own a business with one or two other people, you can provide your EIN when submitting application for business credit card. Otherwise, you can use your SSN instead. Yes. You can use your TIN or social security number when applying for a business credit card as an individual or sole proprietor. Business credit cards often have a higher credit limit compared to personal credit cards. This is one of the reasons why some people would prefer applying for a business credit card instead of a personal credit card. Knowing when to apply for business credit card will vary according to your small business needs. You can apply when you are planning to make a large purchase, or if you want to build your business credit. It varies on a case-to-case basis. It depends on which credit card company you are applying for. Some card providers will look into your business’ credit history or revenue report. Some card providers also check the business owner’s personal credit. Most credit card companies will count towards the 5/24 rule, which means you cannot apply for more than 5 credit cards within a 24-month period. There are three categories of credit card fees for businesses: transaction fees, flat fees, and incidental fees. The actual rate will vary from one card to another so it is best to ask your card provider about them. When choosing from the business credit card options in the market, use this guide to help you decide the best option for your needs. Some of the best small business credit card options include the following: Capital One Spark Cash for Business, American Express Business Gold Card, and Chase Ink Business Cash Credit Card, among others. The Capital One Spark Classic for Business is one of the best business credit cards because you can qualify even with a credit score of 550. There is also no annual fee and comes with 1% cash back on every dollar spent. Other options include Bento for Business Visa Debit Card, which requires a minimum credit score of 450. If you want to apply for a business credit card as LLC, you must have a good credit standing as it will significantly improve your chances of approval. In some cases, the individual credit scores of the members of the LLC will also be required. It is also good to provide information about the LLC’s profitability or credit history. A business credit card for LLC is a good way to build or establish the LLC’s credit history. If you use it for the sole purpose of your business purchases, it is a good idea. There are several credit card companies that offer secured business credit cards such as Capital One, Wells Fargo, Open Sky, and BBVA Compass. 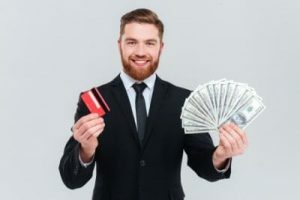 The following are some of your best options for business credit cards for airline miles: Capital One Spark Miles for Business, United Explorer Business Card, and Chase Ink Business Preferred Credit Card. Chase Sapphire Preferred is one of the best business credit cards with the spending limit of up to $100,000. American Express, Bank of America, and Chase do not report your business credit cards to the credit reporting bureaus. However, they do report in the event of default or negative standing. The only time American Express would report your business credit card activity to the credit reporting agencies is when your account is not in good standing, or it has achieved delinquent status. To apply for a Chase business credit card, discuss with Chase about your type of business and other business needs. Be honest about your application. You might even have to provide your personal credit information. During your application, you must provide the following information: TIN or EIN (whichever applies, type of business (and sub-types), number of employees, and annual business revenue or sales. Southwest offers a wide range of business credit card options, especially for business folks who travel frequently. The minimum credit score requirement starts at 660 and above. There is a steep annual fee of $99 so make sure you consider other card types, if you are not willing to shell out that much on annual fee. No. Discover used to provide business credit cards but they had stopped this offer. Do you have any questions about how to use business credit cards? This section will provide the information you need to know so you can maximize its use. The Consumer Financial Protection Bureau has stated that credit card issuers will not report any activity to any of the credit reporting agencies. Thus, your business credit card activity will not influence your personal credit score. There are many credit card companies that offer rewards to business credit card users. The IRS will count these rewards as taxable income, unlike in credit card for individual use. If you own a business credit card and use it mainly for business purchases, you can qualify for tax deductions. All interest that you pay on your card is also fully tax deductible. There are many uses for business credit cards to facilitate in your business operation, such as increasing your working capital and other operational costs. Yes. Business credit cards work differently than personal credit cards. Any interest you pay on your business credit card is tax deductible. Yes. You may use your business credit card for personal purchases, but only the interest paid on business-related purchases on your card can get deductions on your tax. It is also important to consider the structure of your company. If you are a sole proprietor, using your card for personal use is no problem but it might be if you operate as LLC. Most small business credit cards do entail personal liability. If your business fails and you cannot use your business to pay for debts, you have to pay for the credit card debt incurred by your business instead. If you want to increase your business credit card limit, you can ask your card company directly. If they evaluate that you have good credit standing and good payment record, most of them will approve your request. You can use your business card as a loan. You can use it to fund the purchase of equipment, inventory, and other expenses associated with starting or running a business. Yes. This is a good option for those who would like to switch to another card with a lower interest rate. There are only a few companies that offer promotional 0% APR on balance transfers, though. Yes. You can use your business credit card rewards for personal use, such as travel or booking hotels. You can request directly for a credit limit increase. In some cases, maintaining a good payment record and making frequent purchases on your card will periodically cause your credit limit to increase. Yes, you can use Sam’s Business Credit for individual or business use. You can use it at any Walmart location.